One of casual games giant PopCap's newest titles is not designed by the Plants vs. Zombies team, but by a 9-year-old boy with leukemia. Like many of us here on The Escapist, nine-year-old Owain Weinert dreams of someday making his own videogame. Unlike most of us, however, Weinert suffers from leukemia - cancer of the white blood cells. 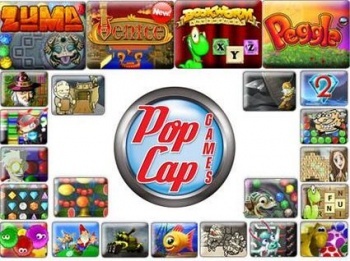 The Make-a-Wish Foundation enlisted the aid of Seattle-based PopCap Games to make Weinert's dream a reality. According to MacLife, Weinert has been visiting PopCap's headquarters regularly to help work on the game, Allied Star Police, which is reportedly similar to an RTS - but likely with PopCap's own twists on the genre. Allied Star Police isn't quite complete, but when it is, it will be released on iOS - and all proceeds from its sales on the App Store will go to Make-a-Wish. From the looks of it, though, it's almost done: PopCap threw a launch party for Weinert and his friends, complete with pizza, cake, and a new iPad with his game already installed. Predictably, Owain himself is over the moon about it. "It's awesome. I can't even think of something that could beat this," he said. His mother, however, went for the understated route, calling it a "high point" after all the time her son had spent in the hospital battling his disease. This isn't the first time Make-a-Wish has teamed up with a popular videogame maker, either. Perhaps the most well-known instance is that of Ezra Chatterton, who in 2007 visited Blizzard Entertainment and helped design his own WoW quest. Sadly, Chatterton passed away in 2008, but was later immortalized in-game as an NPC. We can only hope that Owain Weinert's story, touching as it is, has a happy ending of its own.